Lobby signs are more than just signs—they’re a first impression. The first thing a customer or client or even an employee notices when entering your business is your lobby sign. That’s why it’s so important to make the most of your lobby sign. A well-crafted lobby sign faithfully represents your brand, and it can speak to your company’s quality of work, professionalism, creativity, and even trustworthiness. 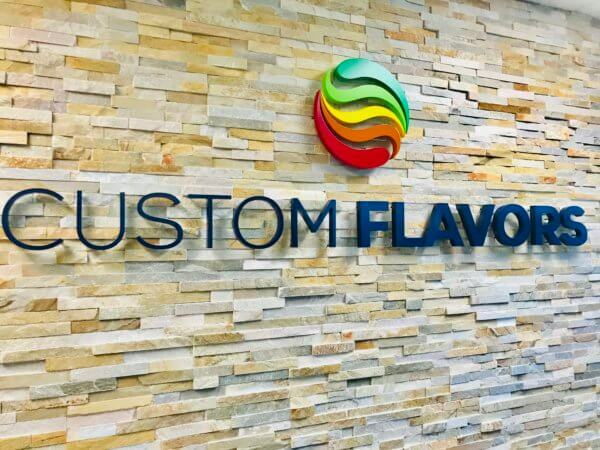 Among the many choices you must make when ordering a lobby sign, the type of material you select for constructing your lobby sign can affect whether your sign sends the right or wrong type of message. There are many materials that you can choose from for lobby signs. 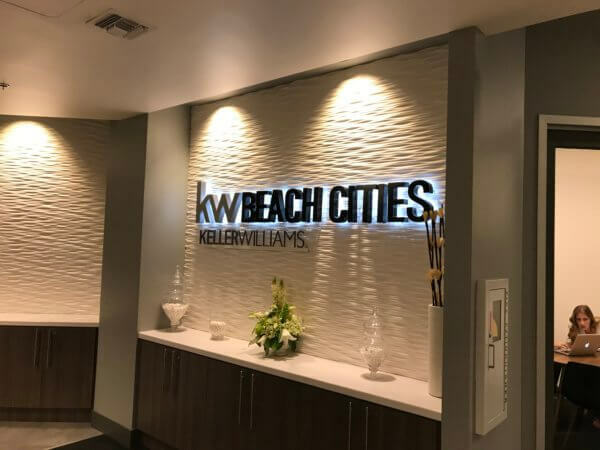 In fact, since lobby signs are primarily indoors and protected from sunlight and the elements, there are even more materials at your disposal than you would have for external signage. Here’s a brief summary of some of the most popular materials to choose for your custom lobby signage. We’ve grouped the materials by the lobby sign types in which they are most commonly used. Keep in mind, many of these materials can be used in combination with one another, so your lobby sign can truly be customized to meet your specific requirements. Vinyl is generally the simplest and most cost-effective signage material. 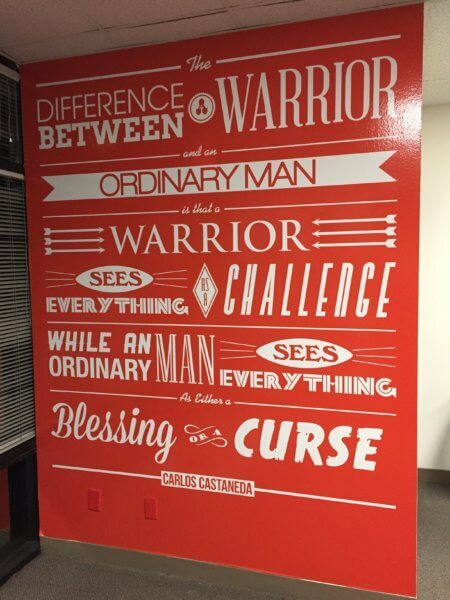 Vinyl works well for many different applications, including full wall graphics, and for graphics that feature detailed images or large amounts of text (such as mission statements and quotations). Vinyl provides a very flat, two-dimensional effect, so when depth is desired, other alternatives are better. Clear or frosted acrylic panels are popular materials for lobby signs. Typically, these panels are mounted an inch or two from the wall using standoffs. One major advantage to acrylic panel signs is that they are easy to install and can be easily re-located. That makes them very useful if your business is in a short-term or leased space. The text and logo elements may be applied to the acrylic panels with vinyl, or with thicker ‘dimensional’ lettering (discussed in more detail below). This reasonably priced approach provides a look with more visual depth than vinyl graphics alone. 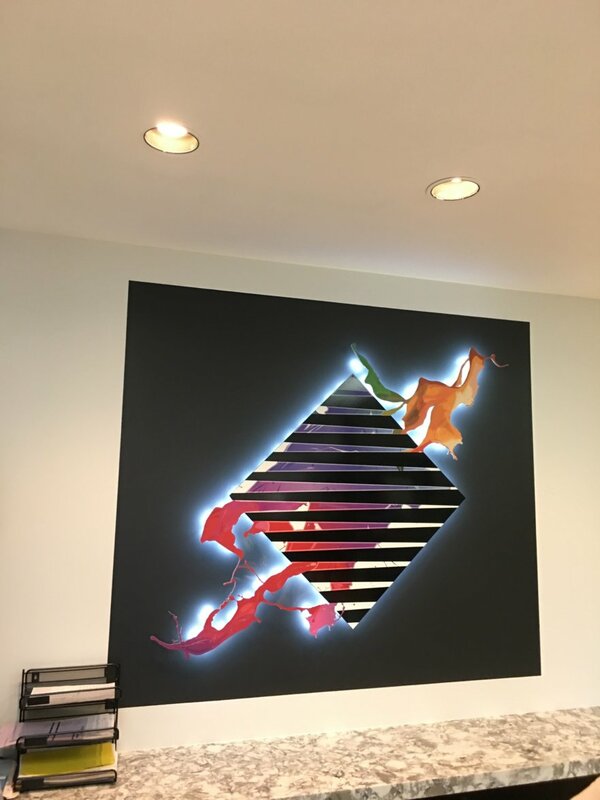 Dimensional elements are typically fabricated from various materials using a CNC router, and may be painted or finished in nearly infinite colors and styles. These elements may be flush mounted directly to a wall, mounted slightly away from the wall using studs and spacers, or mounted to an acrylic panel. The thickness of dimensional lettering varies depending on the size of the elements, but they generally range from 0.5” up to 2”. A low-cost option, foam letters and logo elements may be painted or laminated to give them a high-quality look from a distance. Up close, the edges of the letters may look rough. Also, foam is not durable, so if the sign is in a location where it may be bumped or touched, this may not be the best option. An upgrade from foam, PVC looks good, and accepts paint quite well. PVC is good option if 1-2” thickness is needed. A high-quality material that is a step above PVC. When painted, acrylic letters and logo elements have a very smooth and uniform surface, almost indistinguishable from aluminum. Typically used at thicknesses of up to 1”. A high quality and durable material that works well in any application, whether flush mounted, or installed using studs and spacers. Aluminum is most useful for thinner elements, up to 0.5” For thicknesses above 0.5”, the weight of the letters can become an issue. Paint can be used to add a color or stain to the material you’ve select. The specific paint type used in application is chosen by what will best adhere to your selected materials. Digital graphics often feature a design or color gradient that may be printed onto vinyl, or directly onto the letters and logo elements. Laminates are thin, composite material finishes. Due to the way laminates are manufactured from layers of material, they are often stronger and easier to care for than the materials they are made from (wood, for example). You’ve probably already encountered laminate in kitchen counter tops or flooring. Just like a counter top, there is a wide variety of laminate looks that you can choose from. Some of our most popular laminate options included brushed aluminum and bronze. Glass presents a similar look as acrylic, but glass is harder, more scratch resistant, and has a higher perceived quality. It is more difficult to cut and fabricate than acrylic. Wood is less commonly used for lobby signs, but it provides several benefits. Wood is viewed as being a more sustainable material than acrylic or PVC, and it may be finished or stained in an almost infinite number of ways. Increasingly, reclaimed wood is being used, both for the look, and because of the interesting history of reclaimed materials. At Starfish Signs, we are experts in creating and installing custom signs and graphics to meet your exact specifications. Your lobby sign represents your brand and your values. Whether you know exactly what materials and look you are interested in or you have no idea, our experienced team of designers can help you find the look that fits your brand and your budget. We have fabricated very interesting signs using unusual combinations of materials. In one case, we even made a custom sign using reclaimed wood from the Hollywood Bowl. And our signage expertise doesn’t stop at helping you choose materials—we also can help you illuminate your signs to improve their impact and visibility as well. To start the conversation about your new lobby sign, consult one of our designers today.